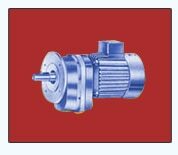 We are among the leading suppliers and exporters of premium quality Solid Shafts Geared Motors in Mumbai. Our business associates give birth to these motors using finest quality raw materials in the accordance of industrial norms. Offered products are highly demanded for their sturdy construction, durability and cost-effectiveness. Backed by the support of experts, we are capable to offer Solid Shafts Geared Motors in Mumbai. These products are enormously well-liked in the market due to their durability nature and faultless finish. Our professionals make this product as per industry standards and using the optimum quality raw material. Furthermore, our patrons can avail this product at nominal prices.